Fantasy basketball top value plays and sleepers on #FanDuel and #DraftKings for Wednesday, March 29. Paul Millsap will be sitting out again as he attempts to recover from an injury, and Ilyasova has been one of the main beneficiaries of the standout forward's absence. The big sharpshooter showed off how productive he can be even in a slow-paced game with 18 and 12 in the 95-91 Tuesday win over the Suns. Ilyasova's can easily put up 30+ here against a back-to-backing Philly team that isn't especially strong on the boards (22nd in rebound rate). One of the more anticipated showdowns of the packed slate, fans will have to hope Warriors/Spurs lives up to the billing with top players on the floor rather than the bench, like last time. If that's the case, Aldridge will have a full plate of minutes in what should be a competitive game and figures to be a pretty good option for both cash and GPPs. It's a pace-up game for the Spurs against the breakneck Warriors, so take advantage by playing Aldridge. The Pacers/Grizz matchup is one of the least appealing of the evening from a fantasy perspective as both of these teams are on the slower side and play solid defense. However, there's a great opportunity to roll out Randolph here with Marc Gasol out. Furthermore, JaMychal Green is listed as questionable. The Grizz might have to lean heavily on Z-Bo, who would probably be close to $7,000 if the pricing algorithms knew what kind of minutes he was likely to play here. Another player taking plenty of shots is Buddy Hield, who has taken decently to his new team and role after being traded in the much-discussed DeMarcus Cousins deal. The sharpshooter out of Oklahoma has gotten 32+ minutes in four of the past five games and has jacked 12+ shots in six straight. He's a very sneaky play in a spot almost everyone will be avoiding against the stingy, slow Jazz, making Hield a target in GPPs with a solid ceiling around 35 if the shot's falling. Curry may be projected for 33 minutes, but it wouldn't be a surprise if he sees closer to 40 in what looks to be the most important remaining game on Golden State's schedule. They'll surely be decent underdogs in this spot, but if they can get the win, it would almost seal the top seed. All of the Warriors can be had at a bargain in this pace-down spot, but Curry is the type of player who can go off against any opponent. Expect some extra looks for Curry if Klay Thompson draws Kawhi Leonard duty, leaving Curry to carry the offense. 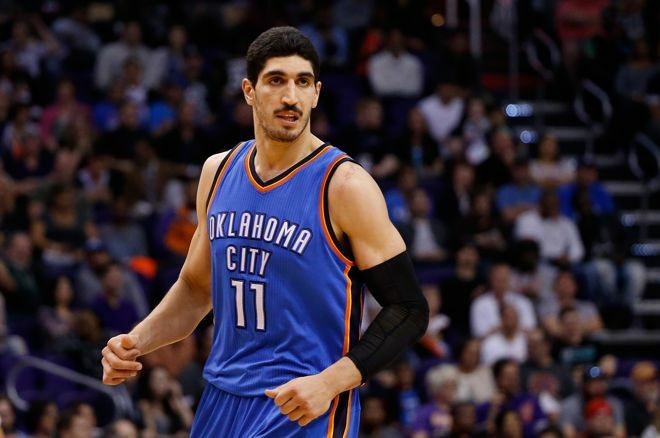 Kanter ended a three-game hot streak of 29+ DK points with a seven-point dud against Dallas on Monday night. He's far too risky to deploy in cash but makes for a high-upside tournament option against the Magic here. Orlando sports the 21st-ranked defense and is 25th in rebound rate, making this a juicy spot for Kanter. Any time he spends opposite Nikola Vucevic will be a premium fantasy opportunity, so Kanter could get back to his 40 DK point ways.